Charles Mingus, what a character and what a true Jazz musician. The whole idea why Jazz is so different from any other musical art form is because of the improvising aspect behind it. For a matter of fact, if there were no improvising taking place, Jazz would have never made it further than the swing era. There was plenty of improvising taking place in the swing era but not on the big stage, it was mostly found in small unknown clubs. Mingus was a true “Individualist” and taught many Jazz musicians to express themselves to the fullest. I of course, did not know Mr. Mingus but from all I have read about him, I learned of a great man! After all the racist obstacles he had to overcome on the West Coast and all the difficulties he had with the “organized” big band style and their leaders, he was able to “teach” the American listening audience about improvisation and how it works hand to hand with Jazz. Although Europeans were aware of this already, Americans were not! Jazz, which had originated in America was misrepresented and missing it’s main ingredient, improvisation. Charles Mingus and the musicians who joined his “movement” can be credited for the survival of Jazz. 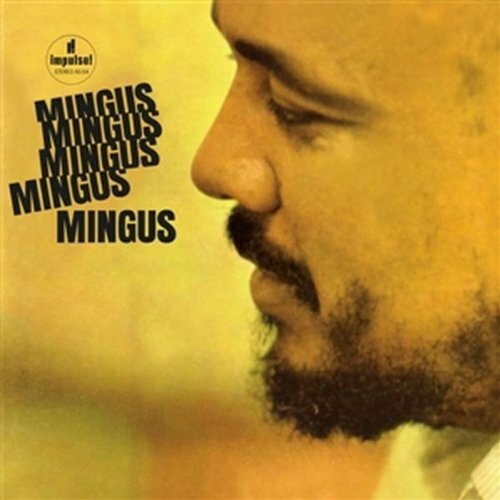 This album “Mingus, Mingus, Mingus, Mingus, Mingus” and also known as the “5 Mingus,” exemplifies the end result of all the struggles he went through. We are talking about an 11-piece band here and with all its members improvising at the same time. Note, he had done albums like this before (Recorded with large ensembles of musicians) but not in a “Orchestra” type of manner. This album which was recorded in 1963 is a true MASTERPIECE and reflects what Jazz is really all about! Check the schedule link for play times and enjoy!